It’s looking like another peak-a-boo day sun wise. Sometimes brightly shining and other times dipping behind the clouds. And while it may not have hit Menlo this morning, there was downpour on the Big Dish around 8:45 am. 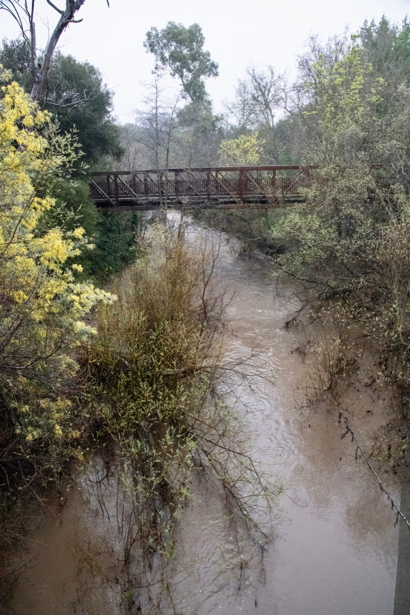 For creek watchers, San Francisquito continues to move rapidly along the Menlo Park/Palo Alto border. Local winter sport: Rafting on San Francisquito Creek caught on video!